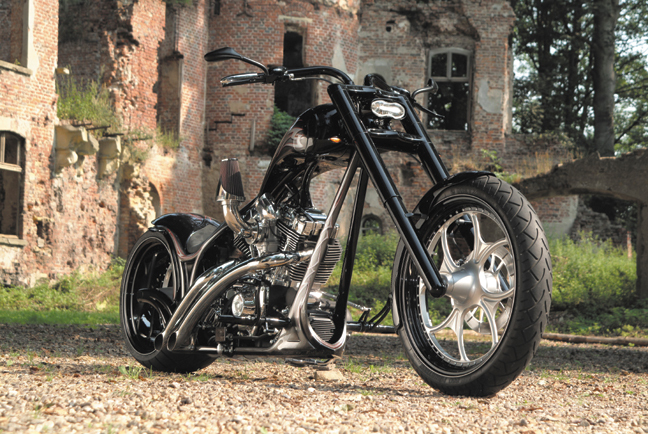 Gothic Custom Chopper features our 3d front fork for softails, black cyclops headlight, 3d freestyle swingarm for softails, black 3d wing mirrors, unversal kickstand with internal spring, ice tail light and weld in pop up gas cap. 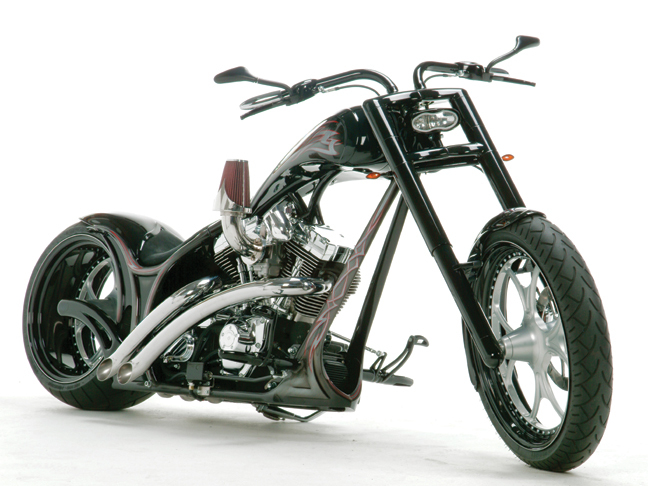 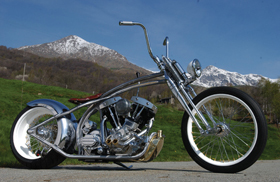 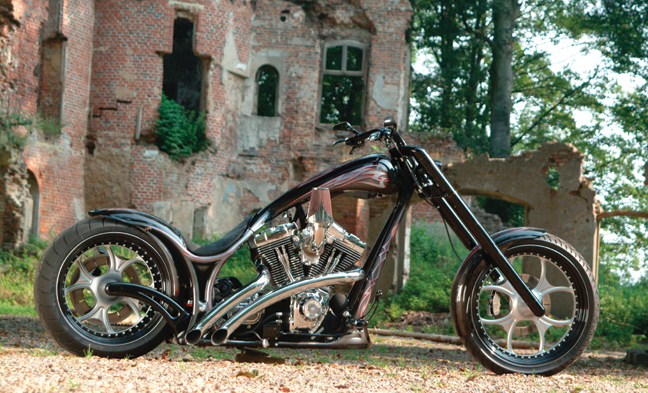 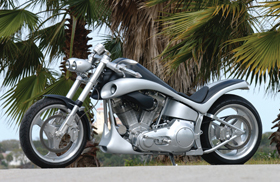 We can provide most of the parts on the Gothic Custom Chopper: frame and swingarm, front fork, wheels and brakes, hand controls and foot controls, headlight and turn signals. 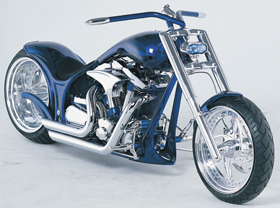 Please email us with a list of parts you are interested in and we will provide a pro-forma invoice listing all prices.